Trentino: a land to be discovered! Do you have stayed by us? The Alla Rosa Hotel welcomes you! We will provide anything to make your holiday a great relaxing time, with all the comforts. 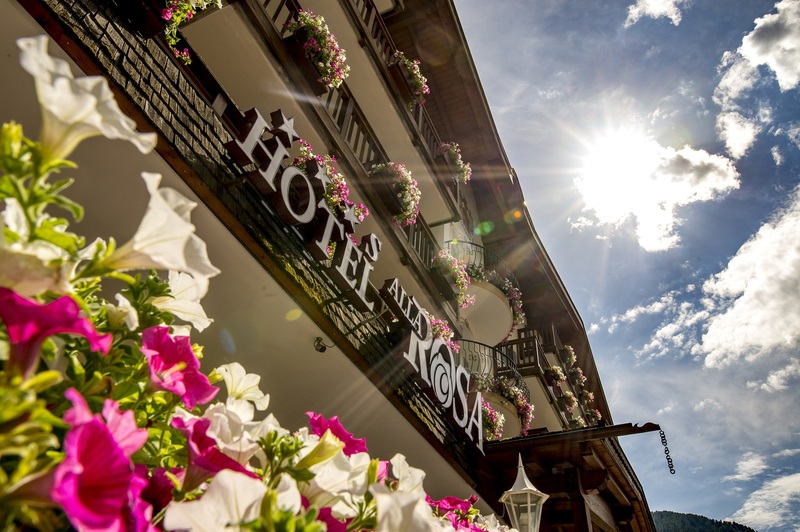 The Alla Rosa Hotel is located in the centre of Canazei, in the heart of the Dolomites. Our family management makes it friendly and welcoming. Our guests can have rooms or family rooms with bathroom, telephone, satellite radio and TV, hairdryer, safe and most of them with balcony. We offer a great breakfast buffet and fun is sure with our bar with a 60'' tv with SKY, lounges, reading lounge, Jacuzzi, sauna and swimming pool. The extensive parking area and the heated garage make arrivals and departures easy at any time. Ski is available on the Marmolada Glacier till 1st May. Sun and Fun are waitng for you! The Outdoor program is getting bigger and bigger. Many special conditions for our guests. On 1 November 2015 the Autonomous Province of Trento introduced a provincial tourist tax, according to the provisions of Provincial Law 8/2002, article 16 bis. The details. privacy European law n. 679-2016. Winter in Canazei is spectacular.